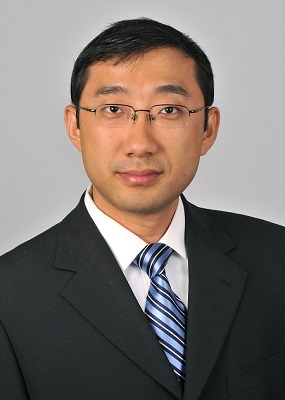 Dr. Qingyu Yang is currently an Associate Professor in the Dept. of Industrial and Systems Engineering at Wayne State University. His research interests include engineering statistical data analysis, reliability and quality, and system monitoring diagnosis and prognosis. His research has been supported by National Science Foundation, Department of Energy, Digital Manufacturing and Design Innovation, Natural Science and Engineering Research Council of Canada, US Automotive Materials Partnership, Department of Veteran Affairs, and Chrysler Corporation. He is currently the associate editor of International Journal of Manufacturing Systems and Industrial Engineering and the editorial board member of Internationals Journal of Business Analysis. He is the director of reliability and intelligent system lab and the co-director of center for material process and manufacturing at Wayne State University. He is elected as the Board Director of Quality Control and Reliability Engineering Division of the Institute of Industrial and Systems Engineering for 2017-2019. He is the recipient of Industrial and Systems Engineering Research Conference (ISERC) Best Paper Award (2009), IIE Transactions (the flagship journal of Institute of Industrial Engineering) Best Paper Award (2011) and INFORMS Best paper award Finalist (2017). He is the advisor and co-authors of ISERC Best Student Paper Awards in the track of Process Industries (2015) and ISERC Best Student Paper Awards in the track of Quality Control and Reliability Engineering (2016). Associate Professor 2016-present Dept. of Industrial and Systems Engineering, Wayne State Univ. Assistant Professor 2010-2016 Dept. of Industrial and Systems Engineering, Wayne State Univ. Aminisharifabad, M.*, Yang, Q., and Wu, X., "A Penalized Autologistic Regression with the Application for Modeling Microstructure of Dual-Phase High Strength Steel, "Journal of Quality Technology, accepted, 2019. Si, W.*, Yang, Q., and Wu, X., "Material Degradation Modeling and Failure Prediction Using Microstructure Images," Technometrics, in press, 2018. Zhang, N.*, Yang, Q., Kellehe, A, and Si, W*., "A new mixture cure model under competing risks to score online consumer loans," Quantitative Finance, in press, 2019. Ding, Y. *, Yang, Q., King, C., and Hong, Y., "A General Accelerated Destructive Degradation Testing Model for Reliability Analysis,” IEEE Transactions on Reliability, in press, 2019. Si, W.*, Yang, Q., M, Leslie, and Chen, Y., “Reliability Analysis of Repairable Systems With Incomplete Failure Time Data,” IEEE Transactions on Reliability, vol. 67, 1043-1059, 2018. Si, W.*, Yang, Q., Wu, X., and Chen, Y., "Reliability Analysis Considering Dynamic Material Local Deformation," Journal of Quality Technology, vol. 50, pp 183-197, 2018. Si, W.*, Love, E., and Yang, Q., "Two-state Optimal Maintenance Planning of Repairable Systems With Covariate Effects," Computers and Operations Research, vol. 92, 17-25, 2018. Xie, Y., King, C., Hong, Y., and Yang, Q., "Semi-parametric Models for Accelerated Destructive Degradation Test Data Analysis", vol. 60, pp 222-234, Technometrics, 2018. Si, W.*, Yang, Q., and Wu, X., "A Distribution-based Functional Linear Model for Reliability Analysis of Advanced High Strength Dual-phase Steels by Utilizing Material Microstructure Images," IISE Transactions, vol. 49, pp 863 - 873, 2017. Yang, Q., Hong, Y., Zhang, N. *, and Li, J. "A Copula-Based Trend-Renewal Process Model for Analysis of Complex Repairable Systems Reliability Analysis of Repairable Competing Risk Systems with Imperfect Component Repair," IEEE Transactions on Reliability, vol. 66, pp 590-602, 2017. Si, W.* and Yang, Q., "A Generalized Mixed Effect Kijima Model and Application in Optimal Maintenance Analysis," IEEE Transactions on Reliability, vol. 65, pp 1551 - 1561, 2016. Zhang, N.*, Yang, Q., and Wu, X., "A Semi-parametric Model for Microstructure Analysis of Advanced High Strength Dual Phase Steels Considering Sample Variation," Quality and Reliability Engineering International, vol. 32 (8), pp 2777–2788, 2016. Si, W.*, Yang, Q., and Wu, X., "A Physical Statistical Model of Overload Retardation for Crack Propagation and Application in Reliability Estimation," IISE Transactions on Quality and Reliability Engineering, vol. 48, pp 347-358, 2015. Zhang, N.* and Yang, Q.,"A Random Effect Autologistic Regression Model with Application for Characterizing Variation of Multiple Microstructure Samples," IISE Transactions on Quality and Reliability Engineering, vol. 48, pp 34-42, 2015. (selected for presentation in the IISE-sponsored session in the 2016 INFORMS conference). Zhang, N.* and Yang, Q., "Optimal Periodical Inspection-based Maintenance Planning for Multi-component Repairable System Subject to Dependent Competing Risks, IISE Transactions on Quality and Reliability Engineering, vol. 47, pp 521-532, 2015 (IISE Featured Article). Yang, Q., Zhang, N.*, and Hong, Y., "Reliability Analysis of Repairable Systems with Dependent Component Failures under Partially Perfect Repair Assumption," IEEE Transactions on Reliability, vol. 62, pp 490-498, 2013. Yang, Q., Hong, Y., Chen, Y., and Shi, J., "Failure Profile Analysis of Complex Repairable Systems with Multiple Failure Modes," IEEE Transactions on Reliability, vol. 61, pp 180-192, 2012. Yang, Q., and Jin, J., "Estimation of Individual Source Signals from Mixed Sensor Measurements," IISE Transactions on Quality and Reliability Engineering, vol. 44, pp 780-792, 2012. Yang, Q., and Chen, Y., "Evaluation of Linear Sensor System Reliability Using Monte Carlo Methods," IEEE Transactions on Reliability, vol 60, pp 305-314, 2011. Yang, Q., and Chen, Y., "Reliability of Coordinate Sensor Systems under the Risk of increasing Measurement Variance," IEEE Transactions on Automation Science and Engineering, vol.7, pp 291-302, 2010. Yang, Q. and Jin, J., and Chang, T.S.，"Automatic feature extraction and classification of surface defects for continuous casting processes," Transactions of NAMRI/SME, vol.38, pp 563-570, 2010. Yang, Q., Li, Q., Jin, J., and Chang, T.S., "On-line Classification of Surface Defects in Hot Rolling Processes," Transactions of NAMRI/SME, vol.37, pp 371-378, 2009. Chen, Y., and Yang, Q., "Reliability of Two-Stage Weighted-k-out-of-n Systems with Components in Common," IEEE Transactions on Reliability, vol.54, pp 431-440, 2005. Yang, Q., and Wang, Z., "Moving Point Target Detection and Tracking under the Condition of Complex Background," Pattern Recognition and Artificial Intelligence, vol.40, pp 256-260, 2004. Si, W*, Yang, Q. and Wu, X., "An Enhanced Functional Linear Model and Application in Reliability Analysis by Utilizing Material Microstructures," 2016. (ISERC Best Student Paper Award ). Zhang, N.* and Yang, Q.,"A Random Effect Autologistic Regression Model with Application for Characterizing Variation of Multiple Microstructure Samples," 2015. (ISERC Best Student Paper Award). “Failure prediction of advanced high strength steel based on material microstructure,” Department of Industrial & Systems Engineering, University of Washington, May 10, 2016. “Quality control of dual phase steels based on material microstructure,” Department of Automation, Huazhong University of Science and Technology, Wuhan, China, July. 10, 2015. “Quality and Reliability analysis of high strength dual phase steels based on mat.erial microstructure,” 5th International Workshop on Technology for Quality and Reliability, Chinese Academy of Mathematics and Systems Science, Beijing, China, July. 6-7, 2015. “Statistical Analysis of Microstructure and Microstructure Reconstruction,” Mechanical Engineering, Wayne State University, Detroit, MI, Oct. 30, 2014. "Monitoring and Diagnosis of Complex Systems with Multi-stream High Dimensional Sensing Data," H. Milton Stewart School of Industrial and Systems Engineering, Georgia Institute of Technology, Atlanta, Georgia, Feb. 19, 2010. Chair/Co-Chair of the track (clusters of sessions), "Quality Reliability and Applied Statistics," INFORMS International Conference, to be held at Hawaii, June 12-15, 2016. Organizer/Chair of the session "Data analytics for reliability analysis and maintenance optimization I," Annual INFORMS Conference, to be held at Nashville, TN, Nov. 13-16, 2016. Organizer/Chair of the session "Data analytics for reliability analysis and maintenance optimization II," Annual INFORMS Conference, to be held at Nashville, TN, Nov. 13-16, 2016. Organizer/Chair of the session "Data analytics for reliability analysis and maintenance optimization I," Annual INFORMS Conference, Philadelphia, Nov. 1-4, 2015. Organizer/Chair of the session "Data analytics for reliability analysis and maintenance optimization II," Annual INFORMS Conference, Philadelphia, Nov. 1-4, 2015. Organizer/Chair of the session "Reliability analysis and fault management for complex engineering systems II," Annual INFORMS Conference, San Francisco, Nov. 9-12, 2014. Organizer/Chair of the session "Multivariate Data Analysis for Quality and Reliability Improvement I," Annual INFORMS Conference, to be held, Minneapolis, Minnesota, Oct 6-9, 2013. Organizer/Chair of the session "Multivariate Data Analysis for Quality and Reliability Improvement II," Annual INFORMS Conference, to be held, Minneapolis, Minnesota, Oct 6-9, 2013. Organizer/Chair of the workshop session " Response surface modeling and reliability study," 9th annual IEEE International Conference on Automation Science, to be held, Madison, Wisconsin, Aug 14-21, 2013. Organizer/Chair of the session "Fault Management for Complex Engineering Systems," Industrial Engineering Research Conference, San Juan, Puerto Rico, May 18-22, 2013. Organizer/Chair of the session "Advanced Multivariate Data Analysis," Annual INFORMS Conference, Phoenix, Arizona, Oct 14-17, 2012. Organizer/Chair of the session "Mining data for quality and reliability improvement," INFORMS International Conference, Beijing, China, June 22-26, 2012. Organizer/Chair of the session "Multivariate Statistical Methods for System Improvement," Industrial Engineering Research Conference, Orlando, Florida, May. 19-23, 2012. Organizer/Chair of the session "Morning Diagnosis and Evaluation of Complex Systems," Annual INFORMS Conference, Charlotte, North Carolina, Nov. 12-16, 2011. Organizer/Chair of the session "Health Management of Complex Systems," Annual INFORMS Conference, Austin, TX, Nov. 7-10, 2010. Co-organizer/Chair of the session "Advanced Multivariate Statistical Process Monitoring," Annual INFORMS Conference, Washington DC, Oct. 12-15, 2008. Yang, Q. and Si, W*, “Accelerated Life Testing with Nonparametric Modeling of Stress Effects,” INFORMS International Conference, to be held at Hawaii, June 12-15, 2016. Si, W* and Yang, Q., “An Enhanced Functional Linear Model and Application in Reliability Analysis by Utilizing Material Microstructures,” Annual INFORMS Conference, to be held at Nashville, TN, Nov. 13-16, 2016. Si, W.*, Ernie, L., and Yang, Q., "Optimal Maintenance Planning With Heterogeneities in Operational Environments.” Annual INFORMS Conference, Philadelphia, Nov 9-12, 2015. Si, W*. and Yang, Q., “A Physical-Statistical Model of Overload Retardation in Crack Propagation under Cyclic Loading,” Annual INFORMS Conference, San Francisco, CA, Nov 9-12, 2014. Zhang, N.*, and Yang, Q., “Statistical Microstructure Modeling and Reconstruction of Dual Phase Steels,” Annual INFORMS Conference, San Francisco, CA, Nov 9-12, 2014. Yang, Q., and Zhang, N., “Fracture Failure Analysis of Advanced High Strength Steel by Utilizing Microscopic Properties,” Annual INFORMS Conference, Minneapolis, Minnesota, Oct 6-9, 2013. Yang, Q., and Zhang, N.*, “Reliability Analysis and Optimal Maintenance Planning for Repairable Systems Under Dependent Competing Risks,” 9th annual IEEE International Conference on Automation Science, Madison, Wisconsin, Aug 14-21, 2013. Yang, Q., and Zhang, N.*, "A Method to Detect Failure Dependency Structure under Competing Risks," Industrial Engineering Research Conference, to be held, San Juan, Puerto Rico, May 18-22, 2013. Zhang, N.*, and Yang, Q., "Fracture Failure Analysis of DP Steel Using Microstructure Properties," Industrial Engineering Research Conference, to be held, San Juan, Puerto Rico, May 18-22, 2013. Yang, Q., and Zhang, N.*, "Optimal Maintenance Policies for Dependent Competing Risk Models," Industrial Engineering Research Conference, to be held, San Juan, Puerto Rico, May 18-22, 2013. Yang, Q., and Zhang, N.*, "An Efficient Method for Fatigue and Fracture Analysis with Uncertainty Quantification," Annual INFORMS Conference, Phoenix, Arizona, Oct 14-17, 2012. Yang, Q., and Zhang, N.*, "Optimal Maintenance of Multi-component Systems Considering Component Failure Dependency," Annual INFORMS Conference, Phoenix, Arizona, Oct 14-17, 2012. Zhang, N.*, and Yang, Q., "Statistical Model of Competing Risk Models," INFORMS International Conference, Beijing, China, June 22-26, 2012. Yang, Q., and Zhang, N.*, "Statistical Modeling of Multi-component Repairable Systems under Imperfect Component Repair," Industrial Engineering Research Conference, Orlando, Florida, May. 19-23, 2012. Yang, Q., "Functional Logistic Regression for Binary Outputs Based on Wavelet Transforms," INFORMS Annual Conference, Charlotte, North Carolina, Nov. 13-16, 2011. Yang, Q., Hong, Y, Chen, Y., and Shi, J., "Reliability Analysis of Repairable Systems with Dependent Failure Components," Charlotte, North Carolina, Nov. 13-16, 2011. Yang, Q., Hong, Y., Chen, Y., and Shi, J., "Failure Profile Analysis of Repairable Systems," to be presented at INFORMS Annual Conference, Austin, Texas, Nov. 7-10, 2010. Yang, Q., and Jin, J., "Monitoring of 3-Dimensional Profiles using Complex PCA," INFORMS Annual Conference, San Diego, California, Oct. 11-14, 2009. Yang, Q., and Jin, J., "Separation of Individual Source Signals from Mixed Sensor Measurements," Industrial Engineering Research Conference, Miami, FL, May 30 - June 3, 2009. Yang, Q., Li, Q., Jin, J., and Chang, T.S., "On-line Classification of Surface Defects in Hot Rolling Processes," NAMRC annual conference, May, 2009. Yang, Q., and Jin, J., "Separation of Individual Source Signals from Mixed Sensor Measurements." INFORMS Annual Conference, Washington DC, Oct. 12-15, 2008. Yang, Q., and Chen, Y., "Evaluation of Linear Sensor System Using Monte Carlo Simulation Methods," Industrial Engineering Research Conference, Nashville, TN, May 19-23, 2007. Yang, Q., and Chen, Y., "Evaluation of Coordinate Sensor System Reliability," INFORMS Annual Conference, Pittsburgh, PA, Nov. 5-8, 2006. Yang, Q., and Chen, Y., "Two-Stage Weighted-k-out-of-n Models with Components in Common", Jakobsen Conference, University of Iowa, Iowa City, IA, March, 2006. Yang, Q., and Chen, Y., "Reliability of Coordinate Sensing Systems under the Risk of Increasing Measurement Variance", Poster presentation at the University of Iowa, College of Engineering Research Open House, Iowa City, IA, 2006. Yang, Q., and Chen, Y., "Reliability of Coordinate Sensing Systems Under the Risk of Increasing Measurement Variance", Industrial Engineering Research Conference, Atlanta, GA, May 14 -18, 2005. Yang, Q., and Chen, Y., "Reliability of Coordinate Sensing Systems Under the Risk of Increasing Measurement Variance", INFORMS Annual Conference, Denver, CO, Oct. 24-27, 2004. Chen, Y and Yang, Q., "Two-Stage Weighted-k-out-of-n Models with Components in Common," Industrial Engineering Research Conference, Houston, TX, May 16-18, 2004.